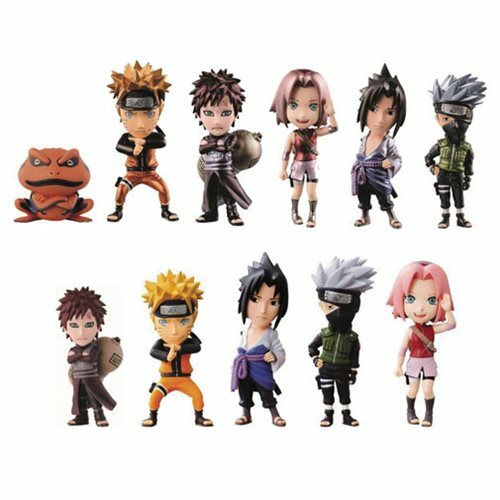 The global anime phenomenon, Naruto Shippuden, joins the WCF figure series with blind box mini-figures! Volume 1 includes five different characters, with alternate versions of some in special high detail metallic finish and an extra special version of Naruto Uzumaki with a limited Gamakichi sticker. Each figure measures approximately 2 3/4-inches tall. Minor assembly required. Base included. Ages 15 and up.